This entry was posted in Ancient History, History, Life, Mysteries, Nature, Opinion, Our World, Politics, Postaday, Religion, Science, Space and tagged ancient aliens, Astronomy, Black hole, conspiracy theorist, Conspiracy theory, Galaxies, Galaxy, historical timeline, Jessie Ventura, Milky Way, Oliver Stone, Physics, Pumapunku, Relativity, Supermassive black hole, Time travel, time travellers, U.S. government, United States. Bookmark the permalink. It’s good for a giggle. I caught one episode where a lady claimed all of America’s best fresh water was being (secretly, of course) taken to China (of course), in giant bladders. 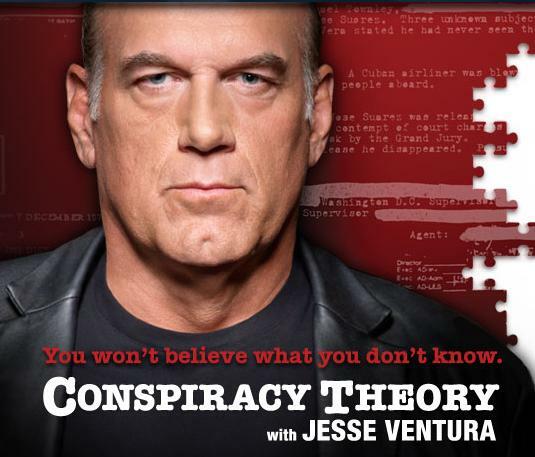 I knew Jesse the Body Ventura existed in real life as a wrestler, but finding that this former governor of Minnesota is turning into this… He has lost all credibilty. Can some aliens abduct him please! I’m fairly certain they already have 🙂 The last time I stumbled upon his show he had recruited director Oliver Stone’s son as one of his “investigators” Yikes. This is the second time I read this. It’s even better the second time. We are not alone Notes.